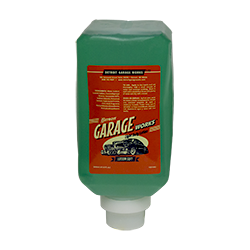 Paul’s Detroit Auto Wash™ is an original retro-classic car wash made with today’s technology but with a twist — It’s even better than what was used by the nation’s very first automatic car wash back in 1946. Paul’s Detroit Auto Wash™ is made to thoroughly clean Detroit’s finest iron, steel, aluminum, carbon and fiberglass vehicles without harming or stripping the vehicle’s finish. 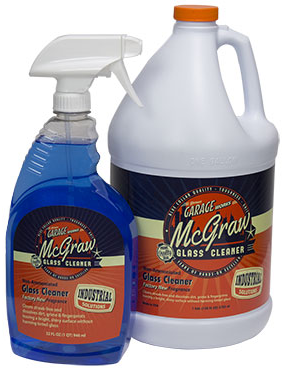 McGraw Glass Cleaner™ is a ready-to-use ammonia free cleaner for glass, mirrors, and stainless steel that is safe for use on tinted glass. 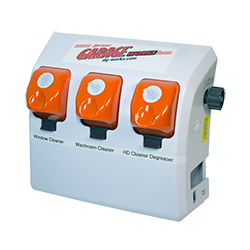 It’s made to reduce the surface tension of water and to eliminate the static charge of which reduces the tendency of re-soiling immediately or even a few days after cleaning when wiped off properly. 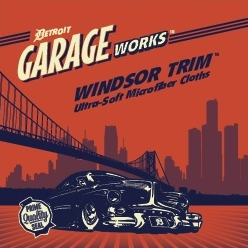 Windsor Trim™ Microfiber is our ultra-soft blend of cleaner and absorbent cloth for paramount cleaning, polishing or drying surfaces such as , glass, Lexan®, Plexiglas®, mirrors, plastics or fabrics without scratching. Each tightly woven, 16”X16”, 18# weight, 310-thread cloth will last over 200 washes when used, washed and dried properly. Available in Yellow, Blue, Red, Green, Orange and White. 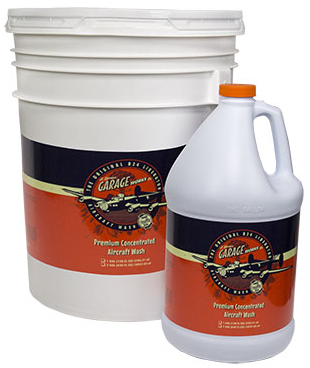 B-24 Liberator is a revolutionary new product for cleaning aircraft exterior surfaces effectively and safely with no degradation to the aircraft or to the environment. 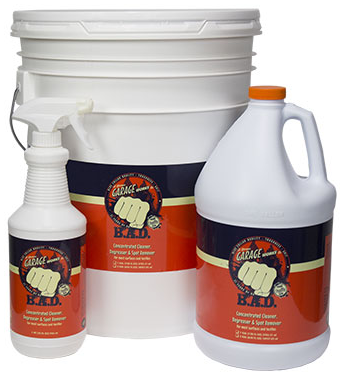 B-24L replaces harsh alkaline cleaners that rely on high pH levels for cleaning. 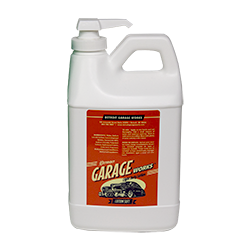 B-24L removes dirt, grime, exhaust soot, fuel residues, and other contaminants without harming the surface. B-24L is safe on glass, Lexan®, sealants, metal alloys, rubber, and all other exterior components. Concentrated for maximum performance and efficiency. An optional bottle holder is available and will hold up to four 1 Gallon bottles (#812644). 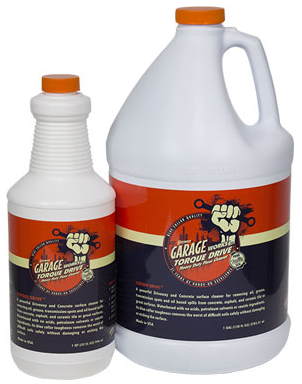 Ultra Heavy Duty cleaner with Walnut shell-X scrubbers for clean-up of the worst grease, grime, oils, carbon and soils. Made with extra-fine nonallergenic biodegradable walnut shells. 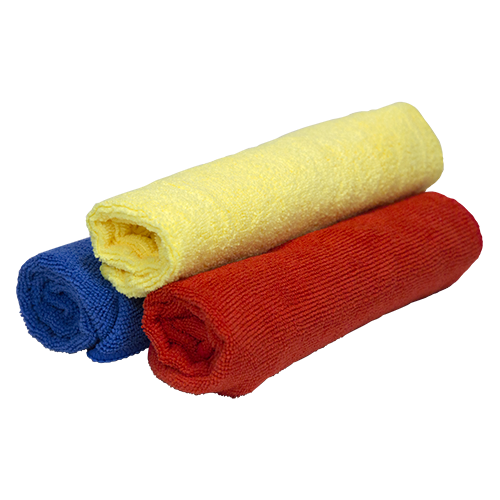 An environmentally responsible Bead-Free™ cleaner. 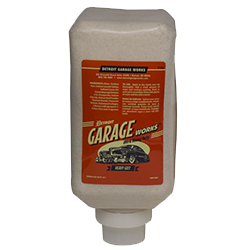 Medium/Heavy Duty cleaner with Walnut shell-X scrubbers and moisturizers for the clean-up of heavy grease and grime. An environmentally responsible Bead-Free™ cleaner. Light Duty multi-purpose lotion cleaner for use with washing hands, and hair or showering. Skin comparable to prevent dryness. 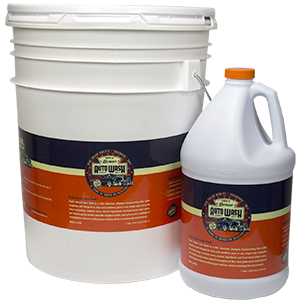 Specialty Anti-Bonding cleaner for the removal of paint, glue, adhesives, resins and inks. 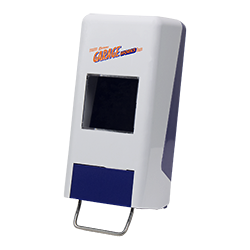 Effective against lacquers, varnish and a multitude of various bonding agents. An environmentally responsible Bead-Free™ cleaner. Heavy Duty, long lasting, ABS plastic dispenser with stainless-steel push bar and adjustable shot size for long life. Copyright © Detroit Garage Works. All Rights Reserved.